Tender conditions feared to have been tailored for one supplier. The National Anti-Corruption Bureau begins investigating the purchase of Motorola radios by defence ministry at inflated prices, according to a ruling of Kyiv's Solomenskiy District Court on 17 August. A team of detectives from the National Anti-corruption Bureau (NABU) carry out a pre-trial investigation in the criminal proceedings on the charges of abuse of power. The investigation materials indicate that the officials of the Ministry of Defence, the General Staff of the Armed Forces, National Guard, and the administration of the State Border Service have abused their official positions, acting in the interests of private business entities by giving preference to a particular company, and concluded procurement contracts at higher prices, which inflicted 300m hryvnia damages to the state. 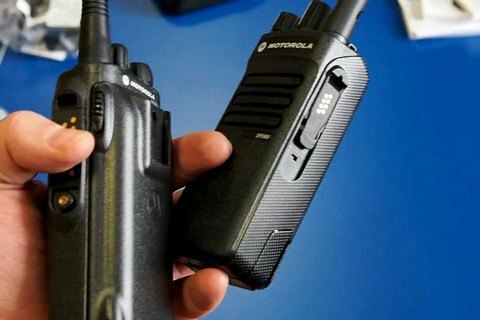 Representatives of law enforcement agencies in 2014-2015 by the results of public procurement procedures have purchased Motorola digital radios worth more than 810m hryvnia from Dolya & Co Ltd, despite the price and technical advantages by other participants in the negotiations. The investigators believe that that the procurement conditions have been tailored for Motorola's official distributor in Ukraine Dolya & Co Ltd.
Tender committee have repeatedly amended tender documents and for formal reasons rejected the proposals of other bidders who have made more attractive proposals, NABU said. In addition, it is suspected that company officials used official documents with signs of forgery when importing the radio equipment and software. Also, Ukrainian law-enforcement agencies started in 2016 the purchase of radio communication equipment Lybid, the copyright for which is held by Dolya. According to the technical requirements of the Ministry of Defence, Lybid was seen as a no alternative product, but the pre-trial investigation revealed that this statement is untrue. The court allowed NABU to probe into and exempt all documentation, which became the basis for the preparation and issuance of expert opinions by the Chamber of Commerce regarding the Lybid equipment.